Aitken Spence PLC recorded an impressive growth in financial results for the nine months ending on December 31, 2018 with a 21.3 per cent year-on-year growth in profits-before-tax from Rs. 3.28 billion to Rs. 3.97 billion. The leading conglomerate recorded an increase in revenue of 1.5 per cent over the previous year, from Rs. 36.2 billion to Rs. 36.7 billion for the nine-month time period. The diversified group’s profits-before-tax increased by 52.9 per cent from Rs.1.47 billion to Rs. 2.26 billion in the third quarter, over the previous year. Revenue increased by 12.1 per cent from Rs. 12.2 to Rs. 13.7 billion. Earnings per share for the nine months increased by 25.4 per cent from Rs. 4.31 to Rs. 5.41, while it increased by 56 per cent from Rs. 2 to Rs. 3.12 for the third quarter, year-on-year. “We are pleased to announce that Aitken Spence has recorded considerable growth in profit-before-tax and revenue for the nine months and quarter. 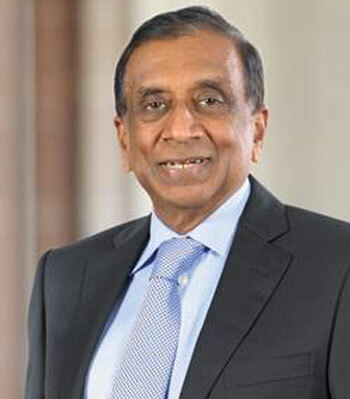 All our four sectors – tourism, maritime & logistics, strategic investments and services – showed significant growth in profit-before-tax and revenue during the third quarter”, said J M S Brito, Deputy Chairman and Managing Director of Aitken Spence PLC. The tourism sector growth was driven by a strong performance by the destination management segment consisting of Aitken Spence Travels which has increased the number of tourists handled steadily over last few years. Whilst Aitken Spence resorts in the Maldives continued to perform well in spite of increased international competition, the Sri Lankan hotels segment improved its financial results over the previous year, during period under review. The company’s latest addition to its hospitality portfolio, Heritance Aarah that presents a premium all-inclusive offering is expected to open next month as the first Heritance property in the Maldives. The maritime and logistics sector posted growth in both top and bottom lines with improved results from maritime services, cargo and logistics segments. Aitken Spence is one of the largest integrated logistics service providers in Sri Lanka. In a landmark move, Aitken Spence recently commenced a joint venture with Fijian Holdings – one of Fiji’s leading conglomerates – to invest in and manage the government printery in Fiji. Aitken Spence will be providing the expertise in management and leadership to upgrade the government printery with new technology to make it one of the best in the region.